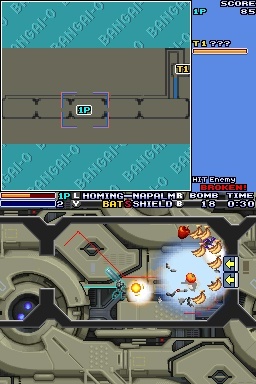 Gun Hazard is a side-scrolling shooter with strong RPG elements, and a spin-off of the Front Mission series. 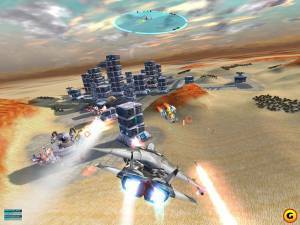 Gameplay is more than a little similar to Cybernator or Metal Warriors. 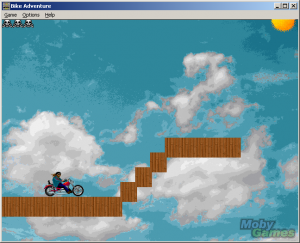 The player moves between different stages on an area map. 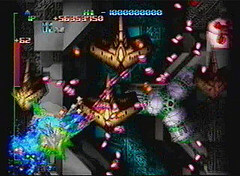 Once inside a stage, the player controls Albert and his wanzer as it moves left, right across the screen. 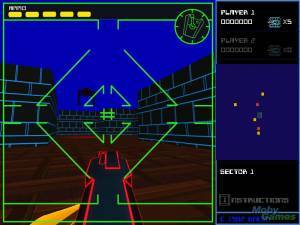 The wanzer is able to jump, and attack with a primary and a special weapon. 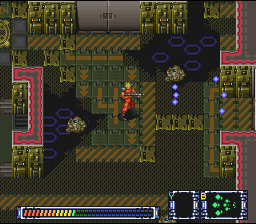 At any time during a stage, Albert can eject from his heavily armed wanzer to explore. Although vulnerable when outside, Albert is able to reach areas the wanzer cannot, in addition to being a smaller target and being able to jetpack indefinitely.